Bénédicte Paviot asks David Miliband (British Foreign Secretary) and Dr Rangin Dadfar Spanta (Senior Adviser to Afghan President Hamid Karzai) a question: what will happen to the rights of the women of Afghanistan if peace deals are struck with the Taliban? BP: Prime Minister, by appearing before the Iraq inquiry, aren’t you taking a big risk, placing Iraq centre-stage of the forthcoming general election - on 6 May, if indeed that is the date?. Prime Minister: No, because I stand by all the actions I have taken. I welcome the chance to explain not only the circumstances in which our government made the decisions it did, but also the circumstances in which we brought our troops home from Iraq, which happened in the last two years. 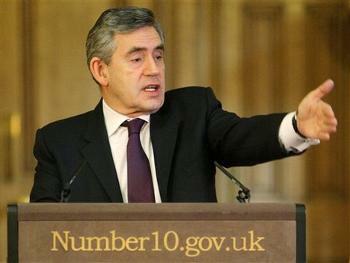 So I welcome the chance to appear before the Iraq inquiry. I offered to appear on any date. [...] I said I’m happy to appear on any date, and then they offered some other dates, so I’m very happy to appear. Bénédicte Paviot's question to Sir John Chilcot at the opening news conference of the Iraq Inquiry, 30th July 2009. Bénédicte Paviot, France 24. Sir John, you said in your opening remarks that you wouldn’t shy away from making criticisms. Will you clearly identify individual or individuals who are at fault? And secondly: isn’t it rather important that you actually not just publish possibly an interim report but the full report before the British people get a chance to vote for their next government and their next leaders? Because surely this should inform the next government, and the British population has the right to decide if this Government got it wrong. SJC: Thank you. I did say in my statement, and I meant it, that if we find on going through the evidence that we shall see – and it will be a huge body of written material as well as oral testimony – if we find that people fell short in their duty, made mistakes, acted wrongly, we shall most certainly say so and say so clearly. But that in a sense connects with the second part of your question. To do this work properly and thoroughly, covering an eight-year period, the run-up to the war, the conflict itself, the reconstruction phase of several years, and all that happened during that, cannot possibly be done in a matter of weeks or even a few months. It is quite simply a huge job. If we’re to do it properly, we have to have the time to enable us to do that. Fr Michael Seed talks to Bénédicte Paviot about Tony Blair, the Iraq War and his new book. To view the video, click here. 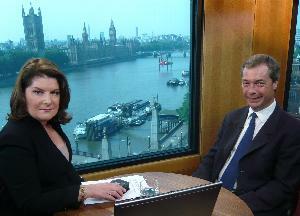 Nigel Farage, leader of the UK Independence Party talks to Bénédicte Paviot about the Lisbon Treaty, the Irish Referendum and UK politics.